China, also named Chunghwa, has the full name of the People’s Republic of China. Located in eastern Asia and the west bank of the Pacific Ocean, China stretches about 5,500 km long from the main channel of Heilongjiang River of north Mohe River in the north to James Shoal of the South China Sea in the south; and is about 5,200 km in width from the Pamir Mountains in the west to the junction of main channels of Heilongjiang River and Wusuli River in the east. Covering an area of about 9,600,000 k㎡, China is the third largest country in the world in terms of territory, only second to Russia and Canada. Its land border is 22,800 km. China neighbors DPRK in the east, Mongolia in the north, Russia in the northeast, Kazakhstan, Kyrgyzstan and Tadzhikistan in the northwest, and borders countries including Afghan, Pakistan, India, Nepal and Bhutan in the west and southwest, and Myanmar, Laos and Vietnam in the south. Continent coastline in the east and southeast extends more than 18,000 km. The coast has flat terrain and fine harbors. In addition, most of the harbors are ice-free ports all the year around. The Bohai Sea (continental sea), the Yellow Sea, East China Sea and South China Sea embrace continental margin from the north to the south. The width of the territorial sea is 12 sea miles, with the sea area of 4,730,000 km2. China faces South Korea, Japan, Philippines, Indonesia, Malaysia and Brunei and other countries across the sea. China is a unified multinational country with the main body of Chinese civilization, basis of Chinese culture, and main nationality of Han. Chinese is commonly used in China. Various nationalities in the territory of China are called by a joint name, Chinese nation. Dragon is the symbol of Chinese nation. Being a country with long history, China steps into a modernized society. There are beautiful natural sceneries and cultural landscapes, various delicious foods, enthusiastic and hospitable people in China. China is one of the Four Great Ancient Civilizations in the world with a long-standing Chinese civilization. It is also named Huaxia Civilization, one of the oldest in the world and with the longest duration in the world. About 5,000 years ago, settlement organizations began to appear surrounding the Central China, and then formed into the country and dynasty. Later, there were repeated evolutions and dynasty alterations. Dynasties with a long period include Xia, Shang, Zhou, Han, Jin, Tang, Song, Yuan, Ming, and Qing. China was once the greatest country in the world, featuring remarkable economy, culture and technology in the world. In history, the dynasties in Central China constantly contacted with and fought against northern nomadic nationalities. Numerous nationalities integrated into Chinese nation. At the beginning of the 19th century, China began to decline under the leadership of Qing Dynasty. After the Revolution of 1911 in the early 20th century, Chinese monarchy quitted the stage of history, which was replaced by republic. In 1949, the People’s Republic of China was founded in Beijing. The regime of the system of people’s congress was established in Chinese Mainland. After 1978, China began to carry out reform and opening up policy. Since then, China’s economy rose sharply again. The glorious history of Chinese literature is reflected in the Book of Songs, Songs of Chu, Poetry of Han Dynasty, Book of Jin, Poetry of Tang Dynasty, Song Poems, Verse of Yuan, traditional Chinese novels with a couplet title of Ming and Qing dynasty, and essays of the Republic of China since the pre-Qin period. 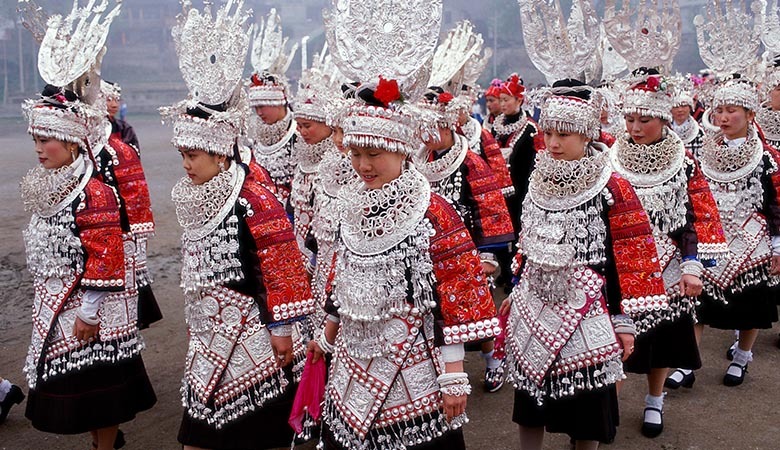 China has colorful folk cultures. Traditional artistic forms include poetry, traditional Chinese operas, calligraphies, and traditional Chinese paintings. Bone flute, which firstly appeared in the Neolithic Age in China, is the earliest wind instrument known to the world. Chinese traditional music is generated and developed from the integration and communication of Central China music, four regions music and foreign music, including folk music, scholar music, religious music, and court music. 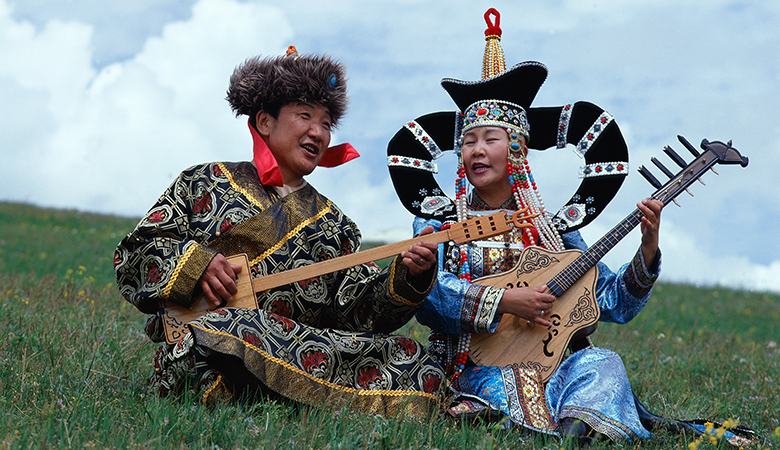 Chinese traditional music has distinct characteristics. Common instruments are Guzheng, Qin, and Xiao. The temperament is based on five notes of the pentatonic scale, corresponding roughly to do, re, mi, sol, la. The time-honored traditional Chinese dance reflects traditional Chinese culture and aesthetics. In addition, it is closely related to martial art, acrobatics, and traditional Chinese opera. Traditional Chinese opera is a traditional Chinese stage art, consisting of various performance means including: singing, speaking, acting and acrobatic fighting. Traditional Chinese opera includes many types of dramas such as Beijing Opera, Henan Opera, Hebei Clapper Opera, Shaanxi Opera, Pingju, Cantonese Opera, Shaoxing Opera, Kunqu Opera, Huangmei Opera, Chaozhou Opera, Jin Opera, and Flower Drum Opera. Chinese painting is called Guohua in China. Writing brush, soft brush or fingers are mainly used to paint on silk or Xuan paper by ink and traditional Chinese painting color. Chinese paintings can be divided into bird-and-flower painting, mountains-and-waters painting and figure painting according to the content, elaborate-style painting, freehand brush painting, heavy-color painting, ink and wash painting, line drawing painting in traditional ink and brush style, mural painting, and inner painting according to skills, concrete Chinese painting and abstract Chinese painting according to artistic levels. Chinese painting, good at freehand brushwork, emphasizes similarity in spirit, instead of similarity in form; emphasizes observation and summarization, instead of on-site facsimile; uses cavalier perspective, instead of focus perspective; emphasizes artistic conception, instead of scene. China is one of the ancient civilizations. Ancient China had technological traditions different from western countries. Ancient China contributed to the world by means of numerous inventions and innovations and developed unique advancing achievements in various fields such as astronomy, math, medicine, mechanics, metallurgy, ceramic, spinning and architecture. Some Chinese inventions anterior to other countries include: the four great inventions (papermaking technology, printing, compass and gunpowder), seismograph, abacus, steel, umbrella (for current use, which can be opened and closed), toothbrush, stirrup, silk, rudder, porcelain, petroleum well, paper money, match, lacquer, kite, fire balloon, fishing pole, fan, crossbow, dock, mangonel and Chinese bronze ware. Among which, silk, porcelain and tea were once the main export goods in China. For example, the Silk Road was constructed for the transportation of silk. The porcelain is also called china in English. In modern society, China learned from western civilization and constantly developed scientific research. Successful launch of the Shenzhou spaceships symbolizes that China has become the third country that is able to send mankind into the space besides the former Soviet Union and America. China has complex and diversified landforms. The terrain is high in the west and low in the east. Mountain land, highland, and hills account for about 67% of the land area. Basin and plain account for 33% of the land area. Most mountain chains are from the east to the west or from the northwest to the southwest. Main mountain chains include Altai Mountains, Tianshan Mountain, Kunlun Mountains, Karakoram Mountains, Himalaya Mountains, Yinshan Mountains, Qinling Mountains, Nanling Mountains, Great Khingan Mountains, Changbai Mountains, Taihang Mountains, Wuyi Mountains, Taiwan Mountains, and Hengduan Mountains. Seen from the air, Chinese land has ladder-like terrain, with gradual decline from the west to the east, including 4 ladders. The first ladder is the Qinghai-Tibet Plateau, known as “The Roof of the World”, with average elevation of more than 4,000 m. There are Kunlun Mountains, Tanggula Mountains, Gangdise-Nyenchen Tanglha Mountains, and Karakoram Mountains. Himalaya Mountain in the south rim is the highest and greatest mountain chain in the world. Mount Zhumulangma, with elevation of 8,848 m, is the highest peak in the world. The second ladder is in the north and east rim of Qinghai-Tibet Plateau and the line of Great Khingan Mountains - Taihang Mountains - Wushan Mountains - Xuefeng Mountain, including 3 plateaus of 1,000 to 2,000 meters, that is, Yunnan-Guizhou Plateau, Loess Plateau, and Inner Mongolian Plateau, and 2 main basins, that is, Tarim Basin and Junggar Basin, and Sichuan Basin with elevation less than 500 m. There are also Tianshan Mountains, Altai Mountains, Qinling Mountains, Yinshan Mountains and Helan Mountains in China. Turpan Depression in Xinjiang is the lowest land in China (-155 m). The third ladder is from the east of the line of Great Khingan Mountains - Taihang Mountains - Wushan Mountains - Wuling Mountain - Xuefeng Mountain to the coastline. Most of the land here are plains and hills. There are three plains (Northeast Plain, North China Plain, and Middle and Lower Changjiang River Plain) with elevation below 200 m and hills with elevation of about 1000 m (Nanling Mountains, Great Khingan Mountains, Changbai Mountains, and Taiwan Mountains). Neritic region of Chinese Mainland is to the east, which is also the fourth ladder. The depth of water here is no more than 200 m in general. There are 5,400 islands in Chinese sea. Taiwan Island is the largest, with an area of 36,000 km2. Hainan Island is the second largest, with an area of 34,000 km2. Diaoyu Island and Raleigh Rock in northeast sea of Taiwan Island are the easternmost islands of China. Islands, reefs and beaches on South China Sea are named as South China Sea Islands collectively, which are the southernmost islands of China. They are called as Dongsha Islands, Xisha Islands, Zhongsha Islands, and Nansha Islands according to different locations. The continental shelf in the east and south of the coastline contains abundant submarine resources. There are many rivers and lakes within Chinese territory. These rivers and lakes are not only important components of Chinese geographical environment, but also contain rich natural resources. China is one of the countries with the largest number of rivers in the world. The distribution of rivers and lakes is unbalanced in China. There are regions with outward flowing rivers to the sea and inward flowing river. Among the long-standing great rivers in China, more than 1500 have drainage area of more than 1,000 km2. Famous rivers are mainly from Qinghai-Tibet Plateau. Chinese rivers include outward flowing rivers to the sea and inward flowing rivers separated from the sea according to the circulation mode of rivers. Outward flowing area accounts for 2/3 of national area, divided into 3 river systems: the first largest river in China, Changjiang River, and the second largest river, Huanghe River, flow to the east, which belong to Pacific Ocean System together with Lancang River, Pearl River, Huaihe River, Haihe River, Liaohe River, and Heilongjiang River; Nujiang River and Yarlung Zangbo River flow to the south, which belong to the Indian Ocean System; Eerqisi River of Xinjiang flows to the north, which belongs to the Arctic Ocean System. In the south of Qinling Mountains-Huaihe River, the rivers have abundant water volume and small seasonal change in water level and small sediment concentration, so the rivers are open to navigation in winter; in the north of Qinling Mountains-Huaihe River, the rivers have great seasonable change in water level and considerable sediment concentration, so the water volume in winter is small and the rivers are frozen in winter. Being the longest canal in the world, the Beijing-Hangzhou Grand Canal connects 5 river systems including Haihe River, Yellow River, Huaihe River, Changjiang River, and Qiantang River. Inward flowing areas are scattered in the west and north. Tarim River of Xinjiang is the longest inward flowing river in China. There are as many as more than 24,800 lakes in China. More than 2,800 natural lakes are bigger than 1 km2. The lakes have vast and unbalanced distribution. Freshwater lakes are mostly centralized in the middle and lower reaches of Changjiang River, including the famous Poyang Lake, Dongting Lake, Taihu Lake, Hongze Lake and Gaoyou Lake. Qinghai-Tibet Plateau has many salt water lakes. Qinghai Lake is the largest. Namtso Lake is a great lake with the highest elevation in the world. China has vast territory crossing 2 climatic zones including temperate zone and tropical zone. The natural environment is complex with diversified climate types. The eastern region has monsoon climate, where winter is dry and cold and summer is hot and damp with ample rain. The temperature changes obviously with the latitude. Annual average temperature between the south and the north is over 30℃. The northwest region has continental arid and semi-arid climate, with little rainfall. Qinghai-Tibet Plateau has unique arctic climate. Most regions in China are in the North Temperate Zone, with a mild climate and distinct seasons, suitable for human living and residence. Continental monsoon climate is the main characteristic of Chinese climate. From every September to the next April, dry and cold winter monsoon blows from Siberia and Mongolian Plateau, leading to great temperature difference between the south and the north. From every April to September, warm and wet summer monsoon blows from the eastern and southern sea, leading to high temperature and rainy weather in most regions and small temperature difference between the south and the north. China has 6 temperature zones from the south to the north, including: equatorial zone, tropical zone, subtropical zone, warm temperate zone, temperate zone, and cold temperate zone. The precipitation decreases gradually from the southeast to northwest. The difference in annual average precipitation among various regions is large. China’s South-East coastal areas have precipitation beyond 1,500 mm, while China’s northwest inland areas only have precipitation below 200 mm. All nationalities in Chinese territory and all overseas Chinese are called by a joint name, Chinese nation. Chinese are in the east and middle part of Asia. Chinese descendants are named as husbandmen. Chiyou descendants are called multitude. They are jointly named as common people. They are the earliest body of Chinese nation. Chinese nation has a long history through thousands of years of evolution, development and integration. China is a unified multinational country from ancient times. Through nationality identification, current Chinese nation includes Han and other 55 ethnic minorities. The whole country has a population of about 1.3 billion, 90% of which are Han nationality. Besides, there are several nationalities not yet identified or confirmed by the People’s Republic of China, including Macanese, Sherpa people, and Chinese Jew. The distribution of Chinese nationalities have the following features: live together on the whole, inhabit a small region, and interlaced living. Ethnic minorities inhabit Han regions and Han people inhabit minorities’ regions. This distribution pattern is generated from mutual interaction and movement of various nationalities during the long-term historical development process. The population of ethnic minorities is small in China, but they distribute in a vast area. Ethnic minorities live in various provinces, municipalities, and municipalities directly under the central government in China. Most county-level regions have more than 2 nationalities. Chinese ethnic minorities mainly live in provinces and municipalities including Inner Mongolia, Xinjiang, Ningxia, Guangxi, Tibet, Yunnan, Guizhou, Qinghai, Sichuan, Gansu, Liaoning, Jilin, Hunan, Hubei, Hainan and Taiwan. Yunnan Province has the most nationalities in China, including 25 nationalities. S ince ancient times, the ancestors of Chinese nations have worked, lived, and reproduced in Chinese territory, and contributed their intelligence for the construction of the unified multinational country and Chinese civilization. Chinese is the language used by most people in China and also the language with most users in the world. Chinese character is the character recording Chinese language. Oracle is the earliest character in China, with a history of more than 3000 years. The current Chinese character is evolved gradually from the ancient character. Chinese character is the character used commonly by Han people. Some ethnic minorities also use Chinese character totally. Meanwhile, Chinese character is also the universal character of various ethnic minorities in China. Since 1950s, through the classification and simplification of Chinese character, China has formulated and issued standards including The First Batch of Variant Chinese Character Sorting Table, The Scheme for Simplifying Chinese Characters, Summary Table of Simplified Chinese Characters, Commonly Used Characters Table for Modern Chinese, and A List of Common Modern Chinese Characters. The Law of the People's Republic of China on the Standard Spoken and Written Chinese Language, issued on October 31, 2000, determined standardized Chinese characters as commonly used characters of the country. Standardized Chinese characters are classified and simplified characters and inherited characters not classified and simplified. Seen from the system of characters and form of alphabet, Chinese characters has a language system combining meaningful syllabic language, syllabic language and alphabetic language, with alphabet forms including ancient Indian alphabet, Uighur alphabet, Arabic alphabet, square alphabet, Latin alphabet, and Slavs alphabet. On February 11, 1958, the fifth session of the first National People’s Congress issued Chinese Phonetic System through the resolution. The Law of the People's Republic of China on the Standard Spoken and Written Chinese Language stipulates that Chinese Phonetic System is the spelling and phonetic notation tool for the national commonly used language. Chinese Phonetic System is also the international standard for spelling Chinese place name, personal name, and Chinese literature. China is the hometown of tea. Chinese tea culture is long-standing, extensive and profound. China is the ancient alcohol country. Distiller's yeast brewing appeared in Pre-Qin Period. After Han Dynasty, starter propagation was developed. Wine was introduced in the Eastern Han Dynasty. Medicinal liquor appeared in Song Dynasty. White spirit made by distillation was imported from Arab in Yuan Dynasty and Ming Dynasty. Chinese alcohol culture has a long history. Alcohol is not only used in official activities such as worship ceremony, meeting of sovereigns and celebration, but also used in civil weddings, funerals, happy reunions, arrival and departure. Chinese cuisine has developed for several thousand years, composed by royal palace cuisine in various dynasties, feudal official cuisine and different local cuisines. 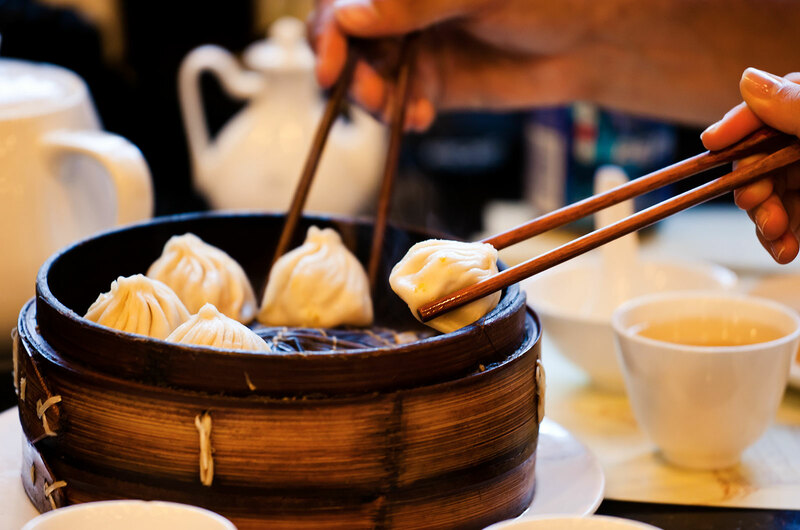 Famous styles of cuisines include: Shandong cuisine, Sichuan cuisine, Cantonese cuisine, Fujian cuisine, Jiangsu Cuisine, Zhejiang Cuisine, Hunan Cuisine, and Anhui Cuisine. Ingredients in Chinese cuisine are mostly made into the small size suitable for eating. Chopsticks are used for solid food. 1. Please pay attention to air safety when travel by air. Be sure to button up the safety belt. Do not take with dangerous or inflammable materials. Do not use relevant electronic products including mobile phones during the take-off and landing process. 2. Please do not change the seat at your will when travel by bus. Do not put your head or hand out of the window. Please pay attention to the vehicles in all directions to avoid danger when get on or off the bus. 3. Please put valuables in safe box of the hotel. Please look out your valuables and do not leave them when take them with you. 4. Please close the door behind you when come in or go out of the hotel room. Please do not put the clothes on the lamp or smoke on bed. When hear the fire alarm bell, please leave quickly through emergency exit and do not take the elevator. 5. Before every checkout, please check luggage with you and pay special attention to your certificates and valuables. 6. Please take care of your health on the trip. Please do not have uncooked food, uncooked seafood, and peeled fruit. Do not have meals at the street stalls with no license. Please avoid overeating. Drink more boiled water. Please have more vegetable and fruit, smoke less and drink less wine. 7. Do not leave the team arbitrarily when travel in a group. Please ask for the consent from the national guide if you want to leave the team independently. In addition, please take with the address and telephone number of the local hotel to avoid accident. 8. Please remember the gathering place, time, and tour bus number told by the tour guide before arrival at the scenic spot. Once you leave the team, please wait for the tour guide in gathering place. 9. When you go out by yourself at night or during free time, please inform the national guide or team member. Pay special attention to safety. 10. For those who are in a low state of health, please do not participate in exciting activities during the journey or free time. For those with heart disease, lung disease, asthma and high blood pressure, please do not participate in water or air activities. 11. When take the speed boat and drifting raft in water activity, please wear the life jacket in line with the regulations and comply with the guidance of the staff. 12. Please get on or get off the cable car in order and comply with the guidance of the staff. 13. Please be careful when walk on snowfield and steep mountain road. 14. Please do not exceed safe warning line when have fun at the seaside. For those who do not swim well, please do not enter the water independently. 15. Do not show off your valuables in public places. Do not count the money in front of people when shopping.